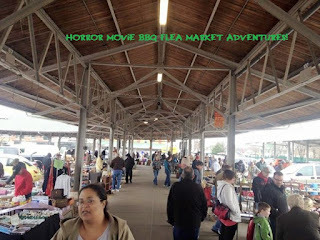 The Horror Movie BBQ: More Flea Market Fun! So two things: After a few weeks of doing Friday Finds, I'm discontinuing it. I'm not the best when it comes to doing deadline-related things and it's a lot harder than I originally thought it would be. Especially since I'm not always able to get to the thrift store or flea market as I had hoped. Second, I went to the flea market today. It was glorious. Yeah, I'm aware that graphic is cheesy and lazy, but man, do I love that Gremlins font. I'll prolly come up with something new eventually. ALF YOU STALKER! LEAVE ME ALONE! EVERYWHERE I'VE GONE HE'S FOLLOWED ME! He's clearly my good luck charm. It seems everytime I run into him, he brings me good luck. I was very tempted to pick him up. But for 4 bucks, couldn't do it. I got the feeling more treasures were coming my way soon. And boy was I right! So, the vendor who sold me my previous Raisins keychain restocked his awesome keychain box with many more tempting treasures. Which is good because I broke the keychain I bought before so when I saw that he still had this guy for only .50, I knew it was gonna be a fine day. 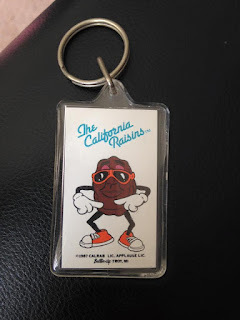 Any Raisins merch is usually good Raisins merch. I head over to another table. 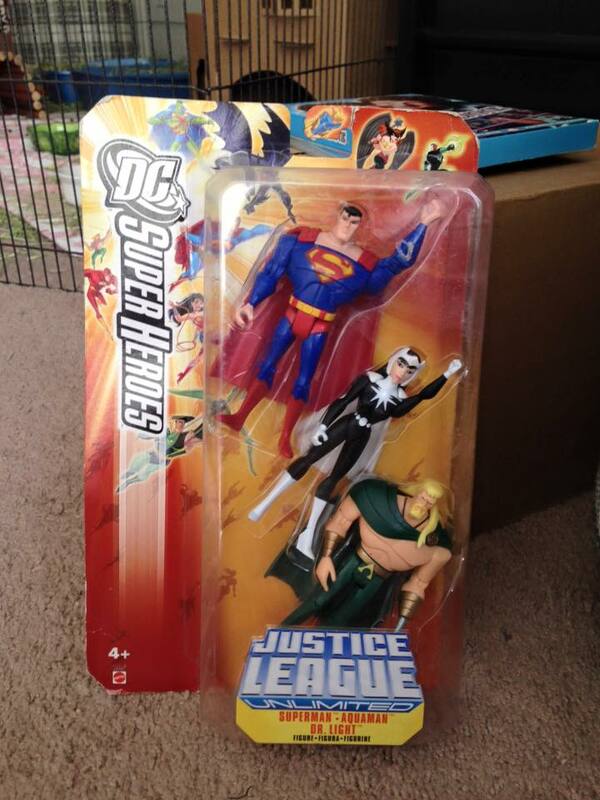 There's a giant box of vintage figures. A guy is already looking through them and I decided to join in. While I'm looking through and reaching for some, the guy PHYSICALLY SHOO'S ME AWAY. Pushes my hand out of the way and cockblocks me from looking at the toys. And when I grab a GI Joe, he grabs it. WHAT?!?! ?1 How old is this guy? So the guy selling them come sup and says "5 bucks for the whole box" because he thought we were together. 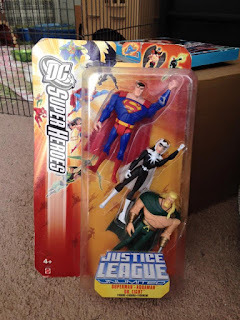 The toy hoarder picks up the box, pays 5, looks at me and say "Sorry. I was here first". YES. 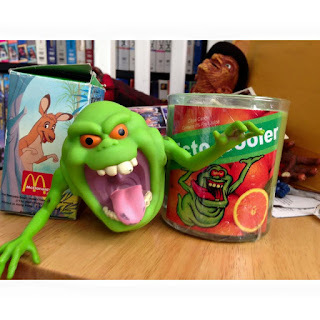 My next table I hit had the Real Ghostbusters Slimer! Now, I'm not a huge fan of his portrayal in the cartoons( I preferred him as an out of control ghost not a wacky sidekick) but this I had to have. Especially to make up for the rudeness I just experienced. So, the vendor wanted 10. We started negotiating in such a manner that would make Bob Barker cry. 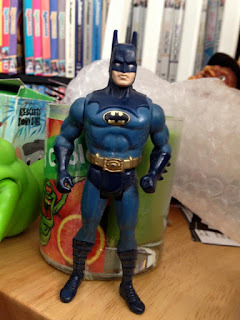 We landed on 6.50, which considering I never had him as a kid, and considering how much he goes for on eBay, was totally worth it. I gladly handed him the bills and change and my frown went right upside down. The guy from the toy box. He runs his own table. IT ALL MAKES SENSE. I go to look at his table, still content with not making too much of a scene or anything uncomfortable. He comes right up to me and says "Hey man, were the guy at the toy box looking for that Batman figure?" I said "Yeah" and he hands me the Batman figure as a way to smooth things over. I thank him, we shake hands and we both become allies as we exhcange stories about looking for toys. He's not so bad afterall. He even gives me a hot tip on some lunchboxes. Which would've been useful if I collected them, but it was still a very kind gesture. Oh man, this reminds me I need to try to get back to the local flea market again. Here's to hoping the vendors have improved their wares. SO many good finds! 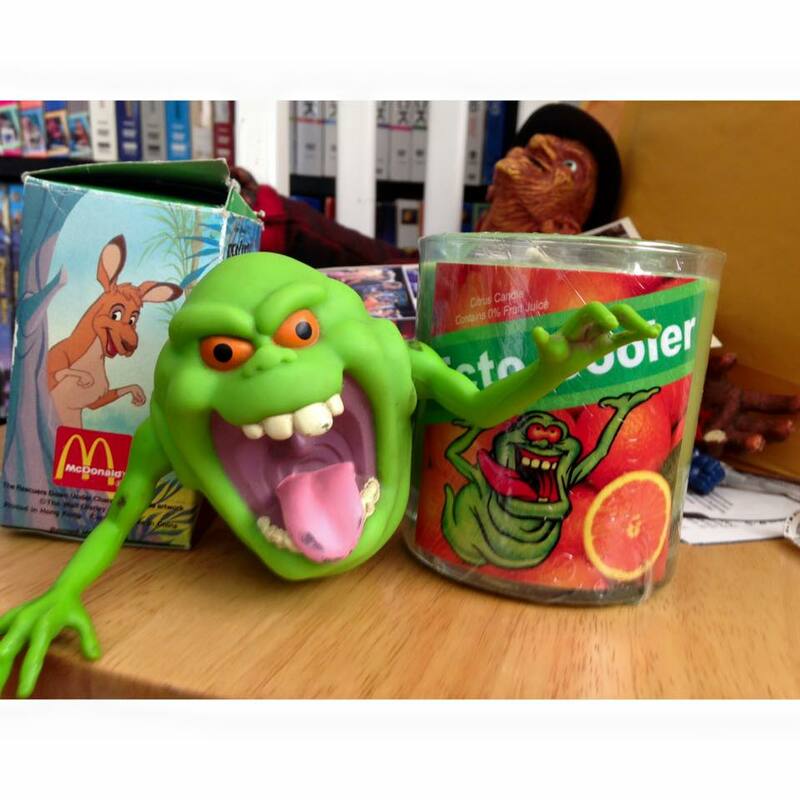 Jealous of that Slimer. What a way to kick off the summer. 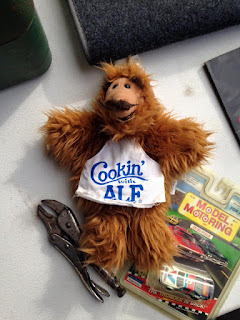 I just realized, I had that exact same Alf doll growing up. Mine got his face chewed up by one of my dogs though.